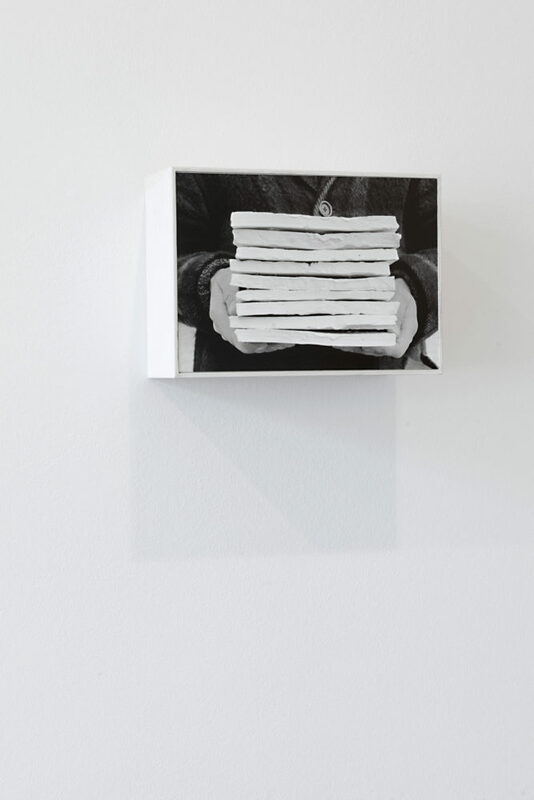 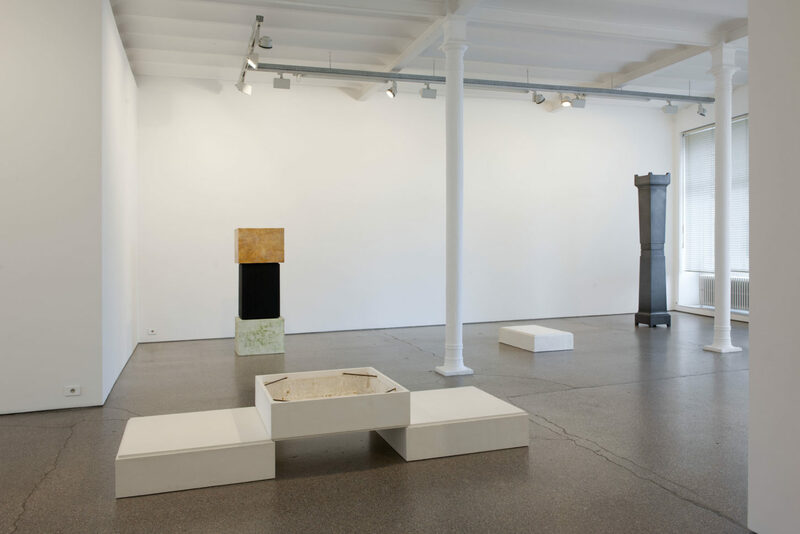 For his second solo exhibition in Greta Meert Gallery, Didier Vermeiren (Brussels, 1951) has selected works from the first 20 years of his sculptural practice. 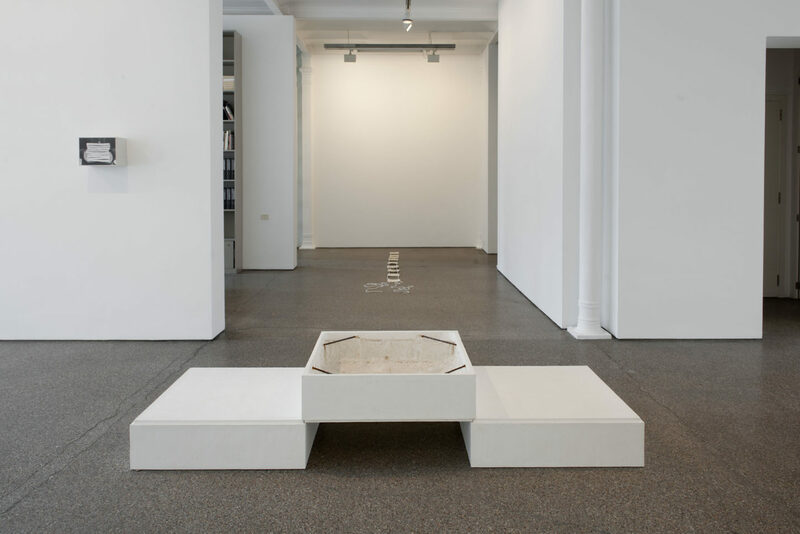 During the course of this exhibition, the Dhondt-Dhaenens Museum (MDD), Deurle (Belgium), is showing an ensemble of fourteen works, realized between 1996 en 2010. Didier Vermeiren belongs to a generation of Belgian artists who were instrumental in determining the international art discourse in the 1980s. 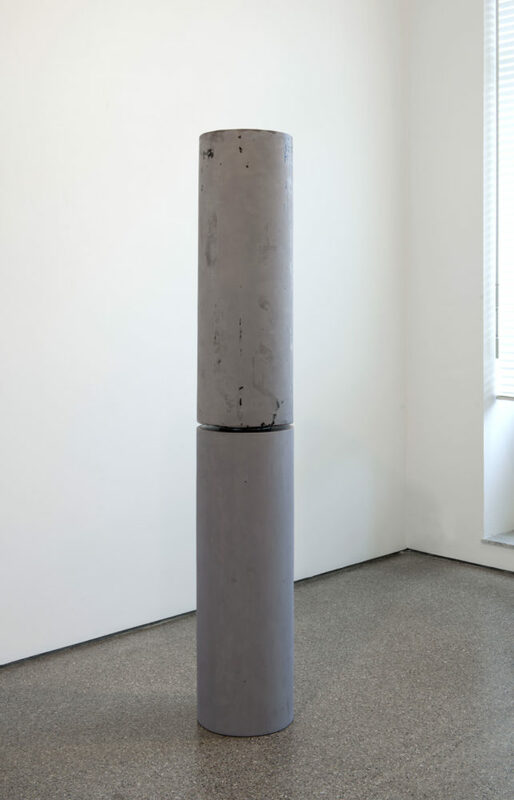 Starting from the sculptural tradition, Didier Vermeiren works towards an analysis of the fundamental aspects of the medium of sculpture; the work acquires meaning by the way in which it employs its own autonomous language. 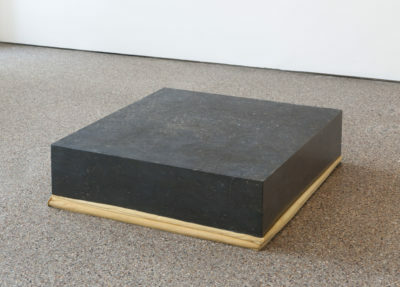 Initially, the plinth, as a perceptual and institutional element (cf Rodin, Brancusi), took up a primordial place in Vermeiren’s analysis. 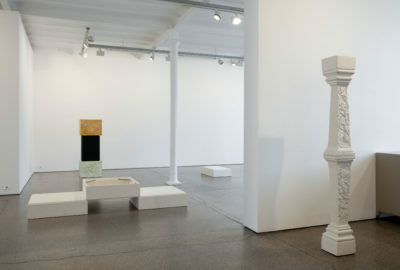 The ‘plinth sculptures’ from the 1980s are meticulous replicas of the plinths of works by Carpeaux, Canova, Rodin, Smith, made in the material of the piece that is supported by the original plinth. The present exhibition in Greta Meert Gallery includes Plâtre, 1984, Socle du Musée Rodin, Meudon supportant le Saint-Baptiste, plâtre 1878 and Grès, 1985, socle du Musée Rodin, Meudon supportant Jean d’Aire, grès 1900. 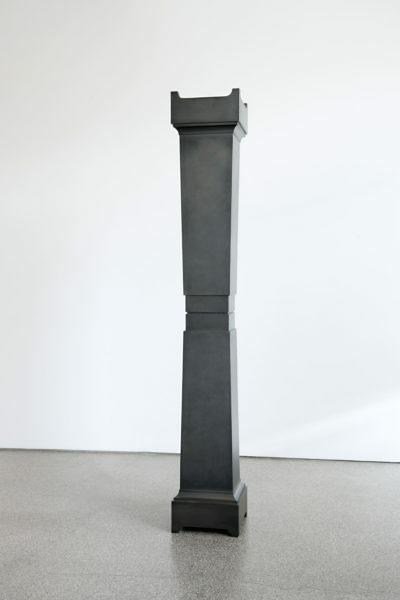 Through repetition, reversal, doubling and inversion, the plinth is incorporated and elevated to a sculptural level. 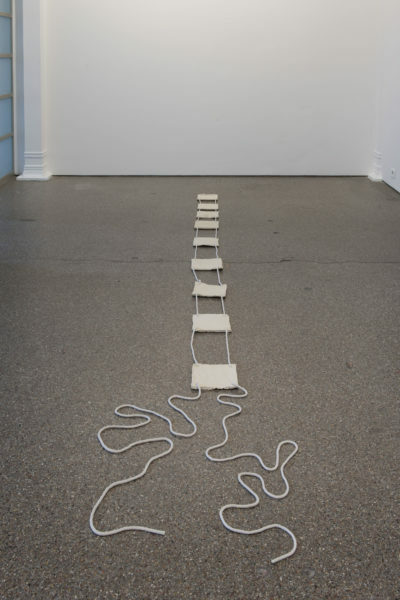 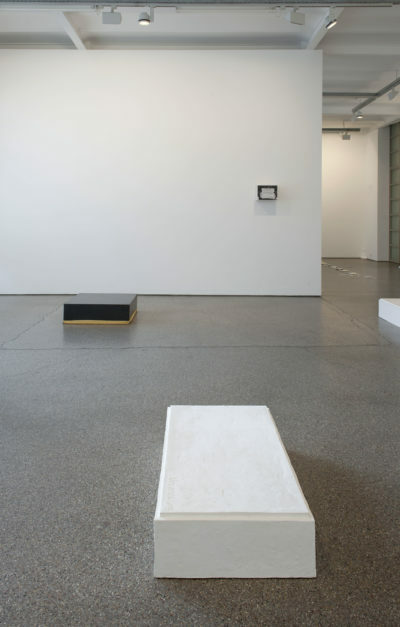 These strategies are subsequently expanded to various means of production, transport and presentation: plinth on plinth, plinth becomes sculpture, mould becomes sculpture, packaging becomes sculptural material, packaging becomes sculpture, replica becomes original, negative becomes positive, etc. This strong visual concept has been explained by Jean-Pierre Criqui with the term figura, meaning the exact reference that the sculptural work presents an image of: the plinth. Figuration is undoubtedly a daring approach, but while it provides the correct nuance of meaning in the current interpretation of Vermeiren’s work within the conceptual and minimalist movement – in which the work of art belongs to the same space as the viewer and the plinth therefore loses its function – it remains nevertheless iconoclastic. 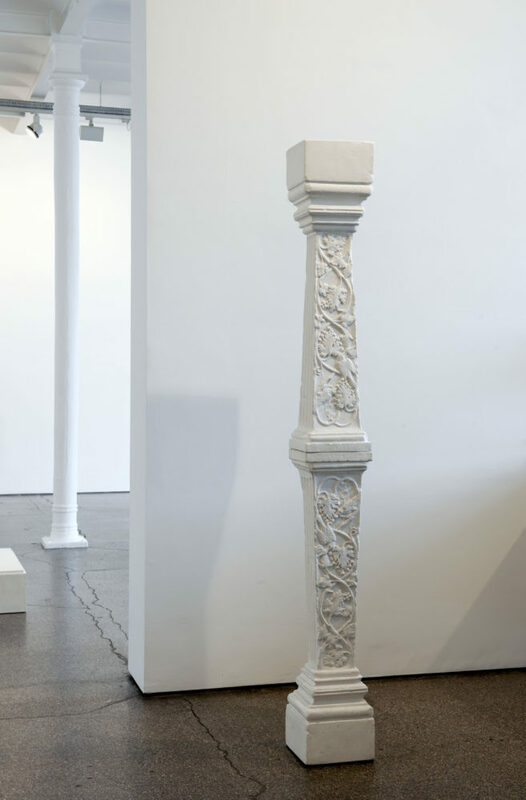 ‘The idea is the sculpture and the sculpture is the idea’: Vermeiren has always emphasized the equivalence of subject and object. 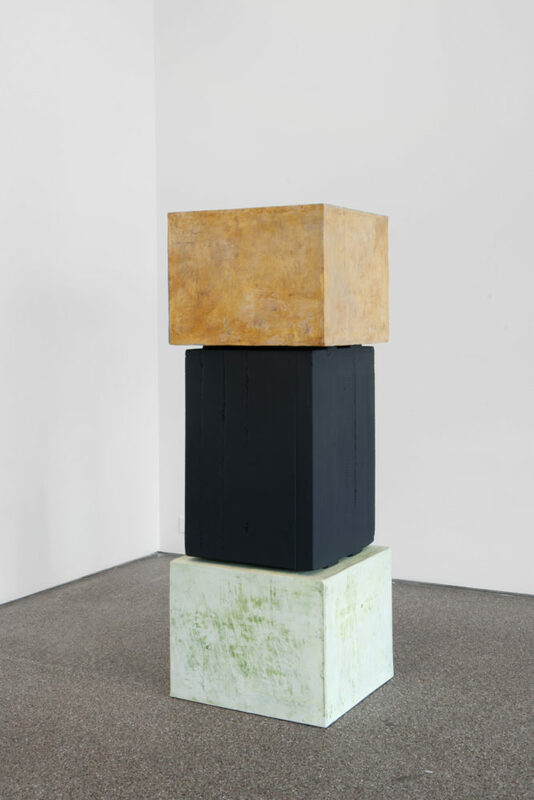 The forceful physical presence of the sculpture derives from the attention to sculptural mass, density and volume, and from the experimental handling and combination of materials. 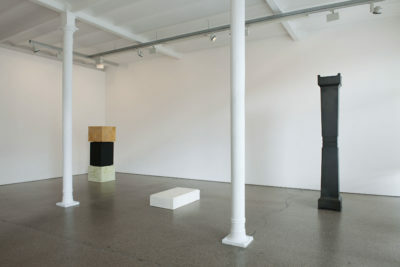 It marks the significance of the studio in the thinking of the artist.